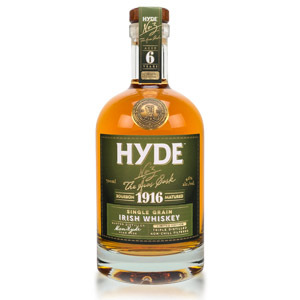 Hyde whisky from Cork newcomer Hibernia Distillers is a range of sourced Irish single-malt and single-grain whiskies on offer to finance the company while a new distillery is being constructed planned (see link at the bottom). This is becoming a familiar story. The whiskey comes from the Cooley distillery (see the link in the previous sentence). 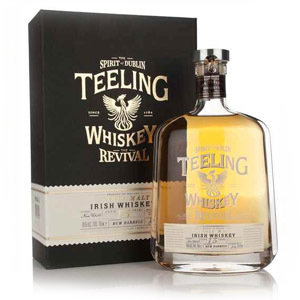 Like the Teeling single-grains, these “Áras Cask” (not single casks) whiskies are made from a mashbill of corn and barley and column triple-distilled. No. 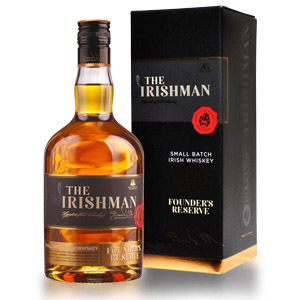 3 is aged in ex-bourbon casks for 6 years without any fancy finish and bottled without chill filtration or added coloring at the “craft” strength of 46% ABV. 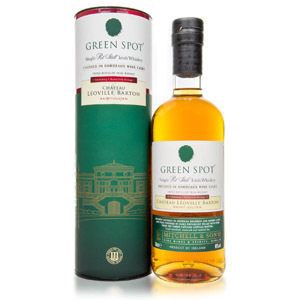 Other “numbers” in the range indicate different cask finishes such as pinot noir and rum. Note that the bottles labeled “President’s Cask” are single-malts, also from Cooley. A word about this whole “sourced” whisky trend. I have been forgiving (OK, and maybe a little sarcastic) because new distilleries without a boatload of investment capital have little choice but to sell other peoples’ whiskey while waiting for a distillery to be built and then for the new spirit to age sufficiently. I can even forgive the less-than-transparent way these brands claim the liquid as their own with high-flying language on the label and big dates of totally unrelated historic events (in this case, the Easter Rising of 1916) that make the brand seem established and storied, since the truth is usually readily available online with a little effort. 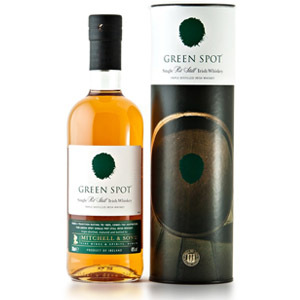 I can even give credit where it’s due because the act of choosing independent-market casks for bottling is an art unto itself, and deserves a price premium above the wholesale cost of the cask. What I cannot forgive is the wanton release of too-young whiskey from mediocre casks with “craft” pricing. This is not hard-won Kilchoman markups on extraordinary young whisky from an upstart distillery. This is warehouse leftovers (from someone else’s warehouse) with a pretty label slapped on it. 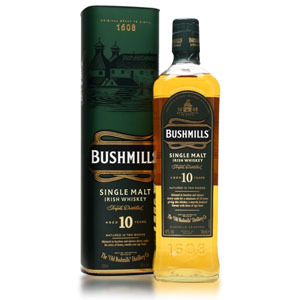 It would be remarkable if Hibernia were able to find tasty Cooley single grain at 6 years of age to bottle with a sub-$50 price tag… but that is not what they have done here. Nose: Vodka notes up front, suggesting a rest in the glass is needed. After a rest, there is still an industrial solvent off-note dominating the aroma. Palate: Syrupy body. Meaty, with nutty toasted hazelnut. Low burn. That industrial off-note remains. Finish: Medium-long. Permeated by grimy industrial oil. Finishes with walnut oil, burned sugar, and a bit of bitterness. Unpleasant. With Water: A few drops of water elevate the vodka/acetone note without adding anything of value. Skip the water. Overall: The overall impression I have is “unpleasant”. It doesn’t have too much of the young vodka/acetone notes one associates with young grain whiskey, but it’s dominated by a grimy, ugly note that hovers somewhere between burned sugar and rancid oil. In a word, unpleasant. Someone, somewhere, likes this flavor profile and would be happy to pay $50 for it. I’m not that person. For what it’s worth, there are some interesting (and serious) allegations in this article, although they mostly boil down to what we already know: Hibernia Distillers doesn’t make whiskey, they buy it and add some finishing. This is hardly new, but if the accusations at that link are true, Hibernia is choosing deception to a higher degree than is typical in this industry. Make your own conclusions. Note that the pricing below may be a little off, since I had trouble finding enough of a variety of US retailers. If you happen to be looking at European outlets, you can probably find this for closer to the US $40 – $50 range at current exchange rates. Ouch, that article. We officially have a whiskey bubble now, since the market is now characterized by outright fraud.